I’m on the hunt for a very particular edition of a very particular book. 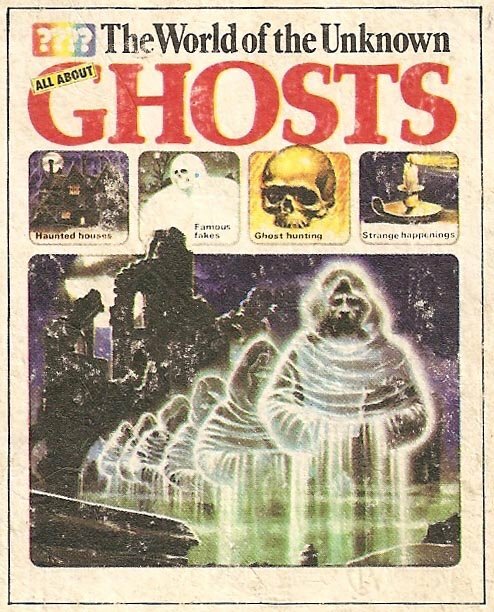 Between the the ages of 7 and 10, I had a favorite book that I would take out nearly every week from the school library: All About Ghosts. 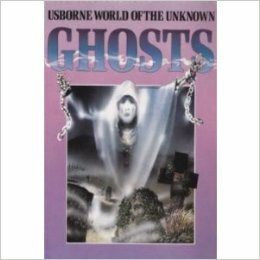 It was part of Usborne Publishing’s World of the Unknown Series – a sort of precursor to the TimeLife series for kids. Along with the ghost book there was also a volume about UFO’s which I took out quite often and a volume about monsters, which my school didn’t have. I recently found some scans from All About Ghosts over at a site called the Haunted Closet. The person who runs the blog has really done a great job of highlighting some of the very best parts of what made the books so special. Yeah, not quite as cool. I’ve found a few listings – particularly on ebay.uk but from what I can gather everyone seems to stock the 1998 edition. One of my favorite machines. Hunting around for a cool flask to use while commuting I found this awesome set. It’s a bit much for daily use, but perfect for a day of cocktails away from home. Got the idea to buy a vintage ouija board and put it in a frame. No Idea where the idea came from. Ghosts maybe? Or not. I looked up some boards on ebay and some of the designs – particularly from ones made in the 1940’s – are incredible. This is a cutaway prototype of a Leica M3. It’s neat.